In this week’s installment of our recurring series bringing you the history of Princeton University and its faculty, students, and alumni, Indiana University’s new song is found to be plagiarized from “The Orange and the Black,” students take the first unproctored final exams, and more. January 23, 2003—Maurice Cohill Jr. ’51 wins a Jefferson Award for his work with the National Center for Juvenile Justice, which he founded. Maurice Cohill ’51. 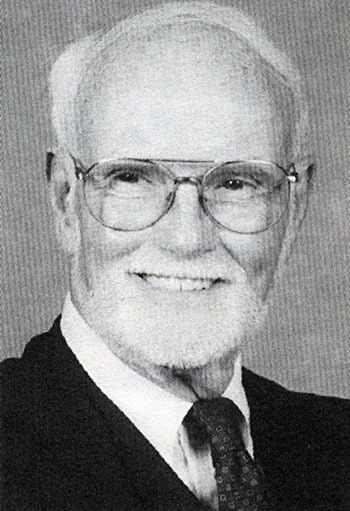 Photo from the Class of 1951’s 50th reunion book, 2001. January 24, 1936—A memorial service is held in Princeton University Chapel for King George V of England. 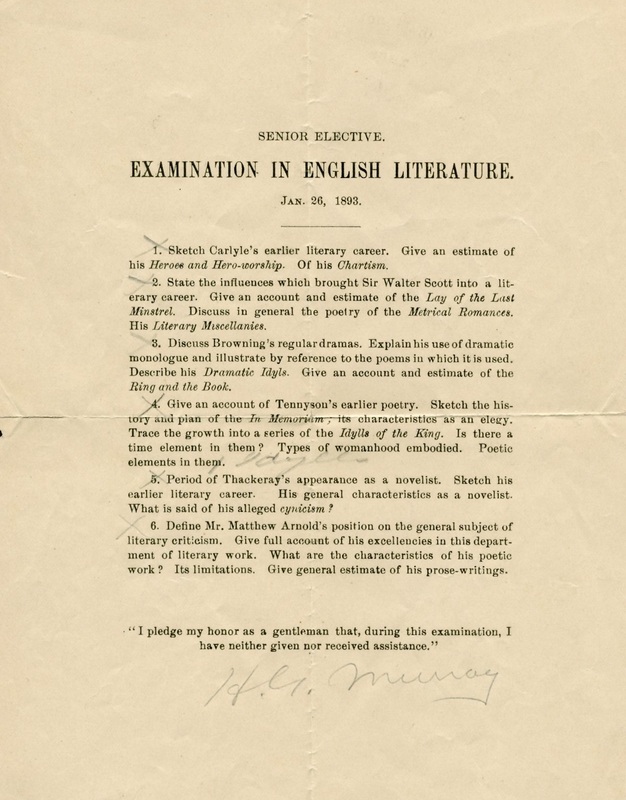 This is H. G. Murray’s English Literature exam from January 26, 1893. Historical Subject Files (Ac109), Box 5, Folder 20. 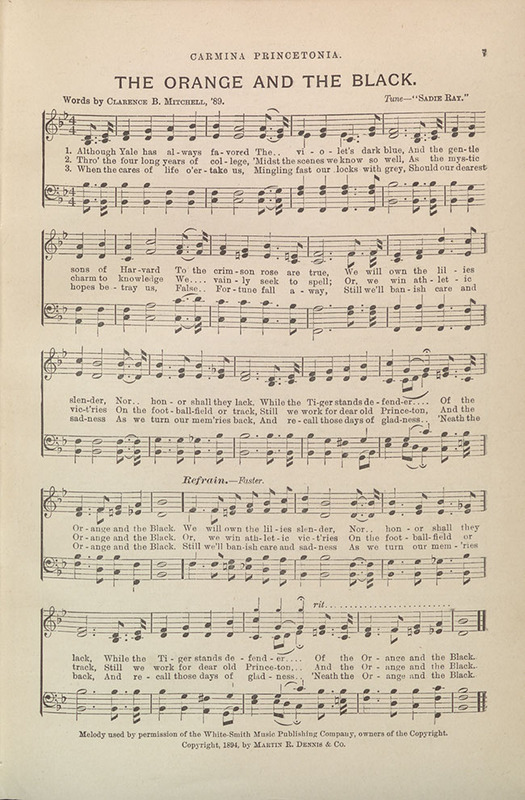 This entry was posted in This Week in Princeton History and tagged Final Exams, George V, honor code, Maurice Cohill, music, plagiarism by April C. Armstrong. Bookmark the permalink.